Black Panther is definitely one of the best Marvel movies I’ve personally ever seen. Among one of the opening scenes to Black Panther is one introducing Erik Killmonger to the audience. (Don’t worry, no spoilers here) In a span of a few minutes, the audience witnesses the condescending tone of the curator towards a visitor of color, a discussion on how ethical the practices to obtain these pieces are, and a self-assured yet misinformed retelling of a cultural narrative. Believe it or not but this is not a rare scene to witness in museums nowadays. It is not uncommon to see cultural appropriation on media, or even in the people that surround your day today. It can go even further than just a girl wearing a bhindi to Coachella. For example, Dana Schutz, a white American artist known for her humorous, gestural paintings, created a painting, “Open Casket” (2016). Featuring a stylized depiction of Emmett Till’s corpse. It raises issues about what right she has to create this piece, especially when she comes from a place of privilege that seems to profit off of another race’s struggle and loss. It feels off-putting and inappropriate to have a white woman tell a black boy’s story. A problem to be had with this is that having someone who is not black tell a black narrative has potential to be misinformed. In fact, a lot of the history of ethnic cultural art displayed in museums are wrong. It has only been a few decades since ethnical culture has actually be taught at universities, let alone schools. The most schools will teach about Black history starts and end with slavery and that is about it. Maybe a small subsection titled “protests in the 60s” and that is about it. There is always a much deeper history of the things that are quickly mentioned in history. Especially ones from different cultures; There is always two sides of history. Going back to that Black Panther scene, after the curator condescendingly tells him that the pieces are not for sale he responds bluntly with ” How do you think your ancestors got these? You think they paid a fair price? Or did they take it like they took everything else?”. This scene alone demonstrates the centuries-old truth museums are largely guilty of : colonists robbing black culture to put on display for Western consumption. One large museum that is guilty of this practice is the Museum of Great Britain. They have been faced with many repatriation campaigns; One of the most popular being an Australian Aboriginal Activist’s demands for repatriation of Ancestor’s Shield. There may be diversity in Museums, but when how they were obtained and how this history is treated in the hands of bigger, government-owned museums is problematic, it can lead to a backlash from the museum-goers. The ethics of these museums need to be questioned to fully appreciate the art showcased, to educate viewers, and pay respects to the cultures they are privileged to be able to showcase. Can you appropriate culture in Art? An age-old example of what is mentioned above is Primitivism and Orientalism. Primitivism is something some of your favorite abstract and cubist artists from Henri Matisse, Andre Derain, to even Pablo Picasso. From the general art historian’s viewpoint about this, it all started when Paris-based avant-garde painters “discovered” African sculpture in the early 20th Century. This started the shift toward pure and figural abstraction and then further leads to what we know today as modern art and paintings. A very positive thing, which of course, is in its own ways but holds some problems in regards to culture. The reason such artists felt so inspired by African and Oceanic art is that they saw these cultures through a more impoverished lense. They liked the idea of a very pure, unindustrialized, and simple-minded culture and modeled their ideas of anti-industrialization after what they thought these cultures were like. They disregarded the culture and meaning behinds the masks and sculptures in favor of the look and aesthetics of the masks and justified it through their ill-informed understanding of the culture. It was only really until the 1960- 1970s that people started to start becoming educated about other cultures, and even so, they had to start from the absolute beginning of scrapping together bits and pieces about a culture they have hidden aside for decades due to racism and prejudice. Just because it happened decades ago does not mean that it still does not happen today. For example, the Dana Schultz situation happened in 2017. 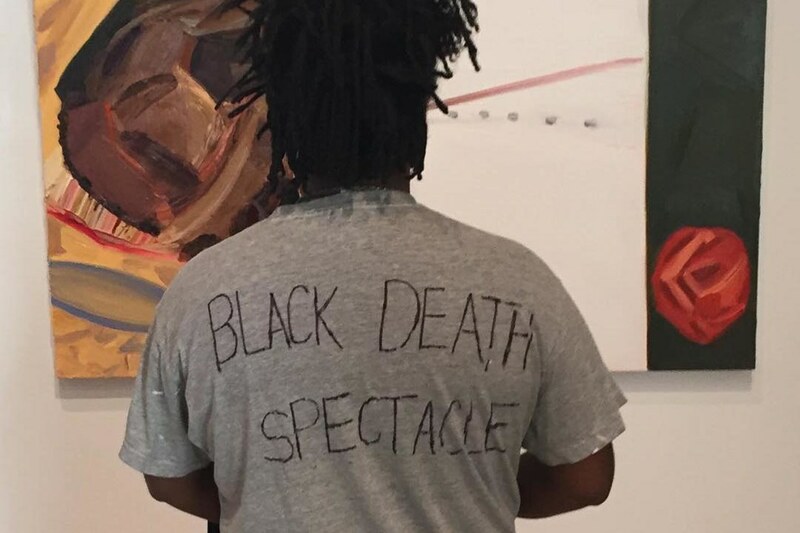 Hannah Black, an artist/ writer from the Whitney Independent Studies Program, in a letter towards the curators of the exhibition expressed dismay towards the painting stating that anyone who cares or pretends to care about Black people should have never found it appropriate to create such a painting in return for any profit what so ever, especially when in regards to violence against Black people. She brings up the note that turning Black suffering into profit and fun has even been a practice that has been normalized for a long time. This can be evident through larger corporations running campaigns in favor for oppressed groups when in reality it is treated more like a campaign strategy than genuine care for these peoples. She brings up the point that Non-Black people will never understand the struggle Black people go through because it is so unique to their own race. It goes farther and deeper into history than anyone could imagine. Especially as a white woman, Dana Schultz’s word will be held over and in a higher regard than a black child’s comfort. As evident in the Emmett Till situation and then later reflected attitudes today. Even the fact that people choose to continue to showcase Schultz’s painting over the voice of discomfort and concern of black people that are against it reflects the old ideas of white women over black people. She finishes the letter drawing back how the Whitney Museum has previously had exhibitions where Black life and anti-Black violence have been major themes and have received a lot of positive feedback, yet they refuse to take down the painting out of concern for the white woman. It makes one questions a museum’s ethics of whether they showcase art for aesthetics or for the meanings of the painting, and how much they consider respect towards certain cultures. The diversity in museums is evident through these exhibitions, but is it done respectfully? Black culture is not always fully considered significant enough in museums to be given the amount of respect other cultures receive in museums. The idea of disregard for accurate and respectful representation in museums started since the rise of contemporary museums and continues even till today. There have not been many significant changes since then, it seems. How are Museums “Colonized” and Why we should even Decolonize them? With the situation like Indigenous people wanting their ancestor’s artifacts to be repatriated, many argue that it is for the greater good for the artifacts to be taken care of in a protected environment (aka a museum). Rodney Kelly, an ancestor from the Gweagal people in Indigenous Australia, is protesting for the return of his great- great- great- great…etc grandfather’s shield on display at the British Museum. The shield could represent indigenous people reclaiming their culture and continuing that same culture for future generations. He believes that no museum will ever show the culture the way that the original people could. That the way the artifacts are displayed among one another crossing different cultures tend to make history and key details of the culture get lost when they are displayed in general museum collections. Museums fail to work more closely with community members whose families were from the original tribes and areas. The habits of the museum are carried and normalized among many more museums. Two examples of the British Museum failing to work with community members are when they displayed the object in a major exhibition sponsored by BP, a major oil company which at the time was pushing to drill for oil in the Great Australian Bight. Only two people were actually informed of the sponsors and the intentions of the show. Another time is when the shield was taken down from the display and nobody bothered to alert Kelly’s family. The museum wanted to conduct further investigation on the shield and they failed to get approval from the family. “Decolonizing” museums go further than what is displayed in the museums. It can go even further into who curates and runs the museums. Protestors at the Brooklyn Museum are fighting against the recent appointing of Kristen Windmuller-Luna, a white woman, as a curator of African Art. Just like the Dana Schultz controversy, protesters believe that it is not appropriate to have a white woman in charge of African history. Having a white woman in charge of an entire culture and history of race mirrors colonizers in a “new” country because they believe they can do it better than the people in charge of said culture. Although leaders of the Brooklyn Museums argue that Windmuller is very qualified for the job in her studies and her previous work experience, the ethics of just having a white woman having that much control over how the history of a culture that her family nor herself have been able to experience is questionable. She has not nor will she ever experience what the effects of African slavery, anti-black racism, and racial prejudice are like and therefore she is disconnected from the history and its effects. It important that larger museums keep these in mind because a lot of the times they are looked over for the sake of aesthetics of the arts. Visual art was meant to inspire and even educate about certain periods in history. If the history showcased in an inaccurate, racially charged, or disrespectful way it can send the wrong message to viewers. History is taught so we can learn from our mistakes or even learn about why the world is how it is today. So having correct, either politically or history, information is crucial for museums to have.